In order to encourage more exposure for your personal brand it’s important to be actively communicating with your fans and followers. With the right strategies in place your business can attract leads to your products or services. LinkedIn is a premier networking resource for personal brands, and is now a great warm lead generator as well. More and more people are turning to this top social network for information and research. There are several things your brand can start today in order to attract the right leads for your business. 1. Begin with InMail. 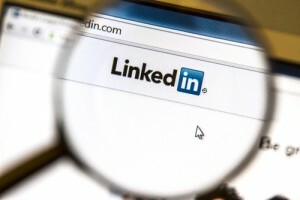 LinkedIn, which is a network-oriented social network, has seen a lot of growth over the last two years, and as a result changes have been made to enhance the service. Use InMail to connect with other brands or individuals in your market, and choose to draft a personalized message tailored to your contacts rather than a generic one. 2. Stay in touch. It is essential to create another personalized InMail that can follow up on your initial message and answer any questions. What better way to connect with other influencers and potential customers for your brand. This is a prime opportunity to open up more about what your business has to offer. 3. Announce important events and updates. Use these milestones as a way to continue communication with your network, and keep them informed about the latest with your brand and any industry news. Find out what their needs might be through this process to show that your company is interested in them rather than self promotion. 4. Join the conversation. There is a large number of professional groups, published posts, and other information flowing through LinkedIn each day. Take the the time to focus on what best matches your niche, and which influencers your brand could be interacting with. Groups especially are a great way to establish relationships and interact with a whole new set of leads. LinkedIn is a perfect place where your personal brand can link up with professionals in your industry as well as new leads where you can show your interest in them as well as your knowledge and expertise. By being helpful, friendly, and consistently publishing content your network will grow and attract more loyal followers to your brand.